Our annual conference, which was held on November 16th, was tremendously successful. 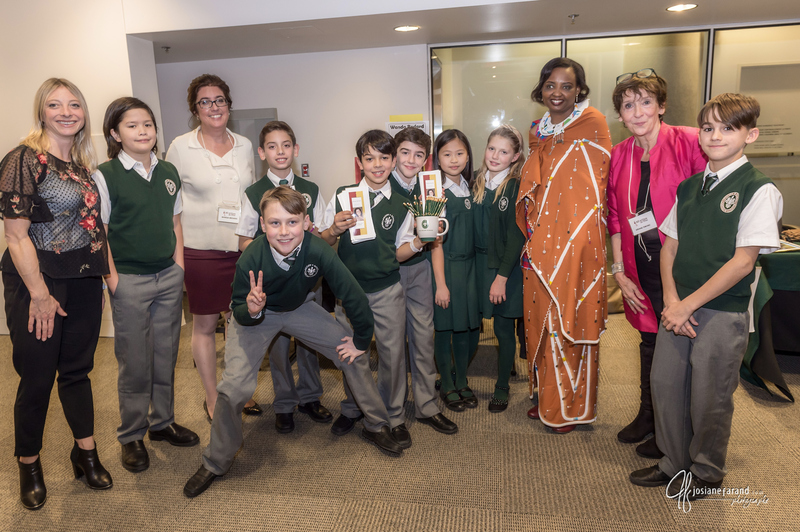 Of the approximately 170 guests who attended, there were students from McGill and Concordia Universities, as well as Collège Sainte-Anne, Collège Reine-Marie and two groups of grade 5 students from The Priory. These enthusiastic students distributed pamphlets with information about Wanda and the Foundation and presented a mini-documentary that they had prepared. 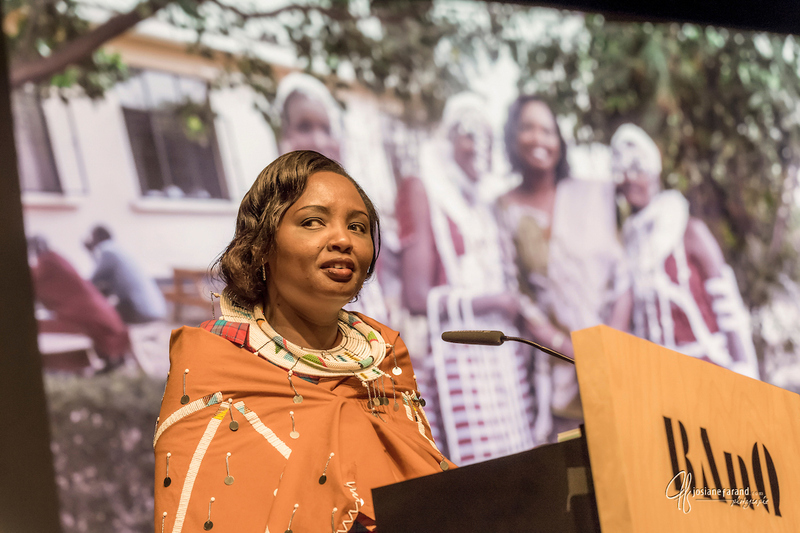 Our guest speaker, Ndinini Kimesera Sikar from MWEDO (Maasai Women Development Organization), described her personal journey from her struggle to become educated to the founding of MWEDO with two other Maasai women in her native Tanzania. Her organization ensures that Maasai girls in remote Tanzanian communities have access to a secondary education. This year, a $100,000 grant from 60 million girls will enable 100 girls to attend high school for one year. Too often, these girls are married before the age of 15, have little access to secondary education, and are marginalized by their communities. Our president, Wanda Bedard, spoke of the Foundation’s recent work in northern Sierra Leone. For a second year, we are supporting the peer literacy facilitators. These girls work to improve the literacy skills of small children. In exchange, they receive a bursary to cover their tuition, school fees and uniforms. Wanda also described the Mobile Learning Lab (MLL), which offers a wealth of interactive videos and exercises on basic literacy, math and science to 750 students inseven communities. We are looking forward to seeing the results of this self-directed computer-based learning. To Ndinini’s delight, she received an MLL from Wanda: a small suitcase filled with thirty tablets and a rechargeable server called a RACHEL-Plus. 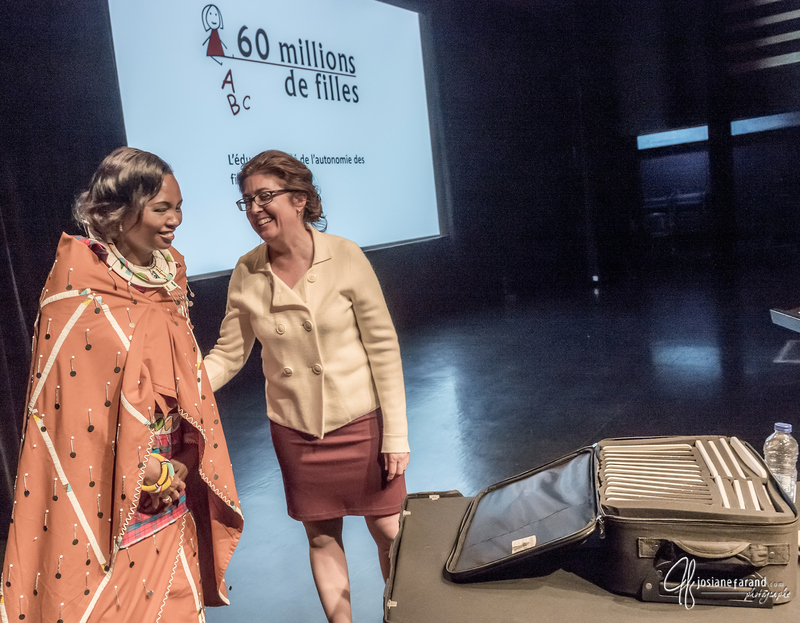 At the end of the conference, students from Collège Sainte-Anne presented a cheque to Wanda. In addition, many of our supporters continued to show their support by making generous donations. That night, we launched our matching donation campaign and, at the end of the 10 days, we surpassed our goal of $12,000!